It’s Oktoberfest season and that means the return of the “Beer Flights” beer garden at Denver International Airport. DEN’s beer garden will be open from 11 am to 7 pm from September 30 through October 10 and not only coincides with worldwide Oktoberfest celebrations but also with the city’s Great American Beer Festival. In the past, DEN’s beer garden was inside the terminal building, but this year they’re changing things up a bit and holding the event outside on the plaza between the Jeppesen Terminal and the Westin Denver International Airport. Here’s how DEN’s Beer Flights works: The $10 admission ticket gets you a souvenir glass and 10, 2-ounce samples of Colorado-made beer. The beer garden will also have live musical performances daily from 4-6 p.m., talks by brew masters, brew trivia, table games, giveaways and a Beer Flights “Passport” for attendees to make notes about the Colorado brews they taste. Should we make this the airport amenity of the week? 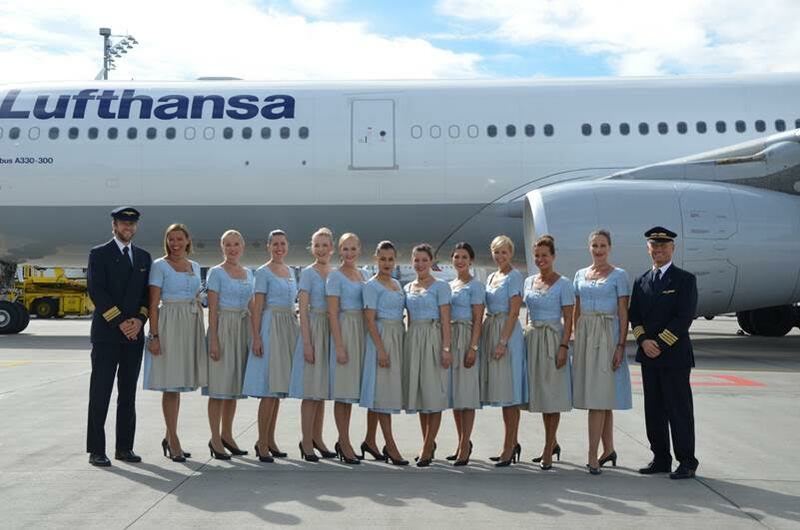 Lufthansa’s “Dirndl crews” are back and this year they’re celebrating their 10th anniversary. The Oktoberfest season is kicking off in Munich and that means some Lufthansa cabin crew members will be swapping their regular uniforms for the traditional Bavarian Dirndl dress on flights to selected destinations, including four North American cities. Look for the special outfits if you’re flying to Munich from Toronto and Washington, D.C. on September 16, and from Denver and Boston on October 4.